March 6th Factoria Mall Sports Card Show!!! Check Out My Cards will be in attendance at the first show at Factoria Mall in Decades!! 710 ESPN Radio is making this THE show on the eastside of Seattle. FREE AUTOGRAPHS: Seahawk defensive tackle Brandon Mebane will be signing autographs from noon to 2:00. We will be there to answer questions about the site and service, offer processing promotions to first time sellers, and discuss our current job openings. PLEASE NOTE: The main reason we will be there is to hand out job applications to people who love cards and can understand what we are doing in the industry. We NEED dedicated people who can combine their passion of hobby and knowledge of industry to assist us in GROWING to a level to best serve our customers. Please stop by if you are in the area, and don’t forget to Check Out My Cards!!!!! The show is from 10AM – 6PM this Saturday. 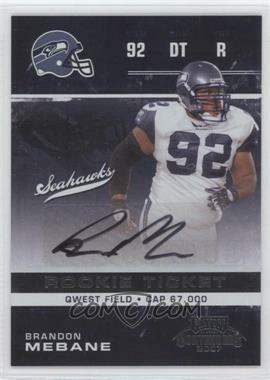 This entry was posted in card shows and tagged Brandon Mebane. Bookmark the permalink. ← Next American Idol with ties to the Hobby? Hi, I found out about the card show today, 3/10. Are you going to have future events? and are you still accepting applications for the shipping clerk position. Yes, we will be at future events. We have someone at nearly every card show in the Seattle area. Yes, we are still accepting application for the shipping clerk position. I recommend calling our 1-800 number and talking to Jeff. Here are our current job listing.